Paul Maffetone’s mission emerged from a burning need to share his pain. At first, he launched a Facebook group, hoping others would join the dialogue about heroin. When it came to substance abuse, particularly the opioid epidemic that has swept Long Island and many other parts of the country, it seemed to Mr. Maffetone that nobody was talking. For Mr. Maffetone, 26, it’s a personal pursuit, one that began quietly nearly four years ago when he and his parents found his brother Michael slumped over in their bathtub, his body a shade of purple. Three days later, Michael was taken off life support at the age of 29. He was one of 84 Suffolk County residents to die of a heroin overdose in 2012. More than 300 others have died since. Next Thursday, Feb. 4, at 6:30 p.m., Paul Maffetone and others will host an Opioid Prevention Program at the Mattituck American Legion on Pike Street. The event will include a Narcan training class that meets New York State Department of Health standards and will teach attendees how to recognize an opioid overdose and administer nasal Narcan — the drug used to reverse the symptoms of an overdose. Suffolk County provided Mr. Maffetone with 60 emergency resuscitation kits to distribute to those who receive the training. Demand was so high for the event that he had to request 40 additional kits. And it’s expected that even more people will attend than the 100 who will head home with kits, so the event was moved from the firehouse, where it was originally planned. While awareness of the heroin epidemic has grown, Mr. Maffetone said he believes many people are still refusing to accept just how widespread the problem is. “A lot of people say heroin is not a problem here, especially on the North Fork,” he said. The numbers tell a different story. Heroin overdose deaths in Suffolk County nearly tripled between 2010 and 2014, with the number of fatalities rising incrementally each year from 38 to 108, according to data provided by the county medical examiner’s chief toxicologist. In 2015, at least 98 county residents died of a heroin overdose and the investigation into 130 additional cases of possible drug-related deaths have not yet been finalized by the medical examiner’s office. The final figures from 2014 may also increase, as 25 probes from that year have not yet been completed. In 2010, deaths from heroin overdose were less frequent than those from cocaine, accounting for just 20 percent of drug fatalities in the county. Last year, heroin caused 52 percent of confirmed overdose deaths. In the five East End towns, at least 11 overdose deaths were reported in 2015, including eight from heroin. Long believed to be a drug used mainly by minorities in urban populations, heroin has found its way into the bedroom communities of Long Island, killing young white men at record levels. While 69 percent of Suffolk County identifies as white, according to the 2010 census, 91 percent of the county’s heroin deaths since 2010 involve white residents. Eighty-four percent of the dead were men, and the age group most affected was those between 20 and 29 years old. While statistics show the majority of these cases involve young Caucasian males, they also convey that people of all races across each town in Suffolk County are affected by opiate addiction. Men and women. Boys and girls. Samantha Paulus, a native of Shirley, was 25 years old when she began using heroin. She got sober a week before her 27th birthday, receiving inpatient treatment and following up with self-help groups. She’s now been clean for nearly two years and is working toward a career as a substance abuse counselor. That initial lack of understanding is a common bond she shares with Mr. Maffetone, who spent the first year or so following his only brother’s death grappling with the concept that this disease could claim someone in his family. Today, when he’s not working as a warehouse manager in Riverhead, heroin and addiction are just about the only things he speaks of. He hopes to engage as many people as he can in the conversation. His Facebook page later evolved into Michael’s HOPE (Heroin and Opiate Prevention and Education). Ms. Paulus is one of three recovering addicts who serve as team members in the organization, which Mr. Maffetone launched with the help of his girlfriend, Kristina Amato of Commack. While neither has struggled with addiction themselves, the problem has plagued too many people around them to sit idly by, they said. For the past several months, the five-member team has been selling hats, bracelets and T-shirts with slogans like “I hate heroin” and “Shoot your heroin dealer” on them. They plan to use the money to gain 501(c)(3) nonprofit status to better spread their message. Next Thursday’s event is one of many Michael’s HOPE has planned around Suffolk County. Team members recently gave a presentation to students at Islip High School. They have other programs planned for elsewhere in western Suffolk and are currently finalizing details for a talk in the Southold High School auditorium. They’ve also met with Greenport Village officials and are organizing a discussion at the Little Red Schoolhouse on Front Street. In the meantime, the “I hate heroin” apparel alone is enough to get people talking. Mr. Maffetone said he wears his hat and bracelet everywhere he goes, along with the vial of his brother’s ashes that hangs from a chain around his neck. Mr. Maffetone and Ms. Amato want Michael’s HOPE to become their full-time jobs one day. They want to reach as many people as possible. Before it’s too late. The people on the front lines of the battle against drug addiction know all too well how serious this problem is. “On any given day, every call we receive could be heroin related,” said Lisa Ganz, clinical director with the Long Island Council on Alcoholism and Drug Dependence. “We are, of course, seeing a lot of marijuana, a lot of alcohol and other drugs, but [heroin] is the crisis that’s on Long Island and the epidemic. Rod Richardson, assistant chief in the Riverhead Volunteer Ambulance Corps, said that on some nights they’ll respond to two or three overdose calls. The ambulances are always stocked with Narcan. He said sometimes, because they’re often able to reverse an opiate overdose by administering Narcan, they’ll treat individuals multiple times for an overdose. On Jan. 16, Southampton Town police officer Keith Phillips was credited with saving the life of a 39-year-old man who had overdosed on an opiate and was lying in the street across from the County Center in Riverside. He is one of 60 town officers who have received Narcan training, which is prevalent in all local police departments. Ms. Ganz said she believes the antidote has been an effective tool in controlling the number of deaths across Long Island, although its presence has not slowed the rate of overdoses. “It’s not indicative that the crisis is getting better, but it is indicative that our resources and our planning and our access to Narcan is helping and working to keep people alive,” she said. Narcan did not, however, save Michael Maffetone, whose symptoms set in for too long before an EMT administered the drug. Later that night, his family found a needle and empty packets of heroin inside a DVD case tucked away in the bathroom. When they later got access to Michael’s cellphone, the Maffetones saw his last words, which came in the form of a text message to a drug dealer in Mattituck. “I want to go out with a bang,” he wrote. At the time of his death, Michael was on parole following conviction on a conspiracy charge. Paul Maffetone said his brother became involved in transporting and selling drugs to feed his own habit. He was arrested after a raid of his Mattituck apartment in May 2010. At the time, Suffolk County District Attorney Thomas Spota called the bust, the result of an East End Drug Task Force investigation, the largest in county history. More than $40,000 in heroin was seized from the estimated $2 million drug ring. Michael Maffetone was one of 20 individuals, including 12 other East End residents, arrested in the sting. “Big Maff,” as Michael’s friends knew him, spent 11 months behind bars, including time served in an upstate prison and months at the Suffolk County jail in Riverside, before he was released on a technicality. Over 60 percent of people in the county jail have some type of substance abuse problem, county Sheriff Vincent DeMarco said during a press conference last January. 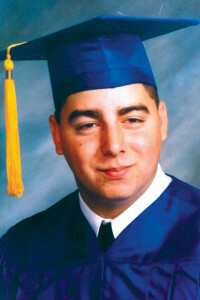 Paul Maffetone said his brother developed his own drug problem following a workplace injury when he was 17 years old. Like many individuals who later use heroin, he first became hooked on prescription pain pills. Since 2010, there have been 1,003 opiate deaths reported in Suffolk County, the ME’s records show. Twenty-four of those deaths involved people under the age of 20. Charlene Halsey Mascia, a substance abuse counselor and coordinator at East End Regional Intervention Court, also known as “drug court,” said last year that about 70 percent of current participants in the program are working to overcome addiction to heroin. Besides appearing in drug court twice a week, participants attend Narcotics Anonymous meetings and see therapists or psychologists. The court, now in its 12th year, is available to nonviolent offenders over age 16 who face drug-related charges in East End courts. They must enter a guilty plea and sign a contract that outlines the requirements for their participation and describes the alternate sentence, often jail, that will apply if they pull out of the program or don’t comply. Working with local judges, prosecutors, drug counselors and others, the drug court aims to treat defendants’ addiction problems, rather than simply punish them. This past Friday, in Southold Town Justice Court, a judge called the name of a North Fork resident who had been arrested last year on a heroin possession charge. An attorney approached the judge, speaking in hushed tones. They then moved on to the next case. The young man was dead.